What happens when well-known comic book artist Fred Perry gets sat down by his friend Robby Bevard for a marathon viewing of My Little Pony: Friendship is Magic, Adventure Time, Teenage Mutant Ninja Turtles, and more? This: Action Time Buddies. “What time is it, bronies? It’s Action Time! 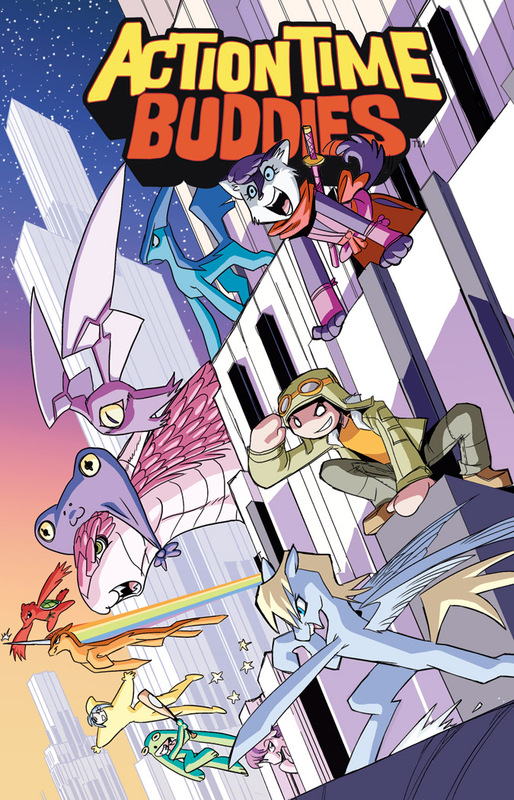 The fan-favorite internet sensation now has its own comic book! Bro the Kung-fu Pegasus, Artie the Bookworm Ninja, and Kid the Boy Pilot are out to find danger, monsters, bad guys, and the magic of friendship in their most exciting, wackiest adventure time on the playground of life yet! The action scene is just kicking into gear, so don’t miss out on this exploding phenomenon! 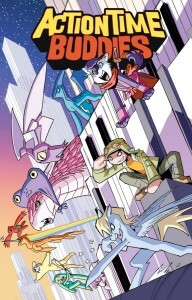 This first issue is sure to get snapped up!” It’s coming this February (in full color!) from Antarctic Press, and you can order it at Things from Another World. 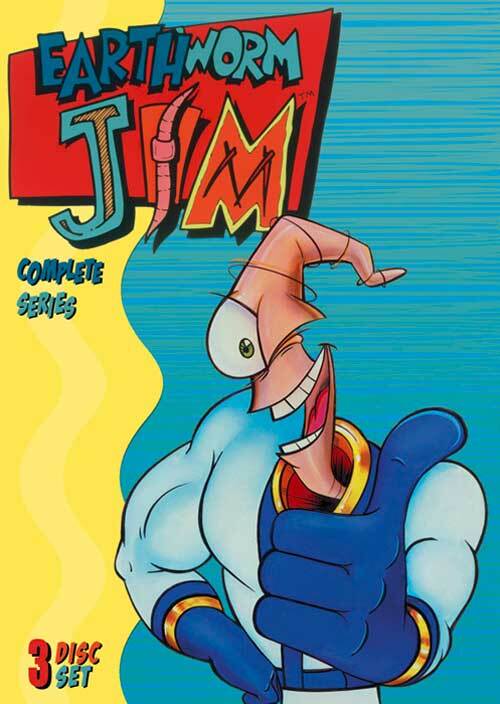 Fans of the animated TV series Earthworm Jim (created, of course, by the one-and-only Doug TenNapel) can now rejoice as Earthworm Jim: The Complete Series has been released as a 3-DVD box set. “Jim was a multi-celled life form happily burrowing through the topsoil. His life changed in a flash when an extraterrestrial super-suit fell out of the sky. Instantly transformed from a 98 gram weakling into a muscular worm endowed with superpowers, extraordinary strength and the ability to leap incredible heights and distances, the suit renders him invulnerable. Earthworm Jim – daring defender of Earth, the cosmos and everything in between!” Got all that? Trust us it only gets stranger when you watch it. The Earthworm Jim DVD box set from Visual Entertainment Inc. is available at Amazon.com. Three months after the tragic loss of the space shuttle Columbia, investigators have discovered that one of the on-board experiments - containing live worms - survived. The worms, known as C. elegans, are nematodes about the size of a pencil tip. They were stored in canisters mid-deck aboard the shuttle and had remained unopened until this week. With a life cycle of only about eight days, the worms are several generations removed from their ancestors placed aboard the shuttle in January.